Sea World was founded eight years ago, in 2002. 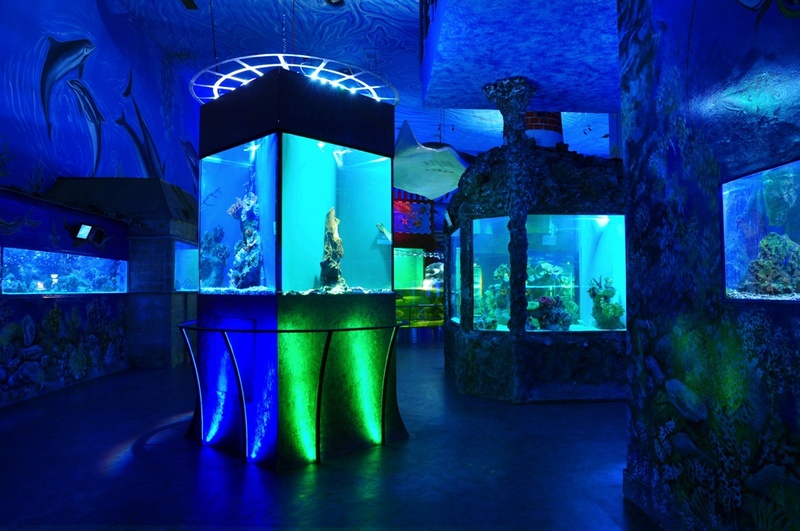 At that time sea aquarium maintenance was not so widespread, we opened exposure only with small aquariums, the largest of which had a volume of 7,000 litres of seawater. Initially we didn’t expect that there to be such big interest in our exhibition and we didn’t think that we would be able to integrate into the family of zoos in the future. Major interest in our exhibition by our visitors’ convinced us that it makes sense to expand the number of the farmed species and build new reservoirs. Gradually, with our increasing knowledge and experience, we realised the construction of larger reservoirs. Currently our largest reservoir, which is inhabited by sharks, has a volume of 100,000 litres of seawater. We're not only trying to expand the farmed species, great emphasis is also on improving the existing welfare for farmed species. We are trying to make their environment as close as possible to their natural living conditions. 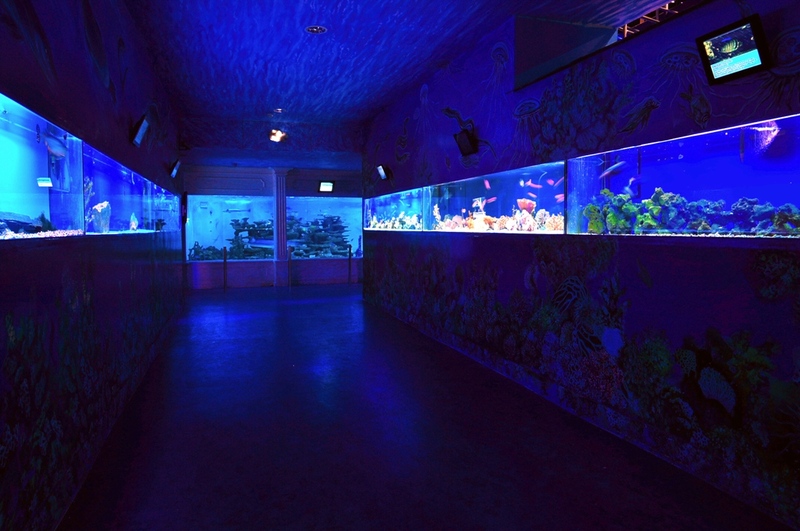 Therefore, using special lights over their aquariums we the simulate moonlight, then using an ingenious technique we also simulate the tide. We try to establish the most powerful kinds of biological - mechanical filtration. Of course there is continuous enlarging of the reservoirs according to the increasing amount of the animals. 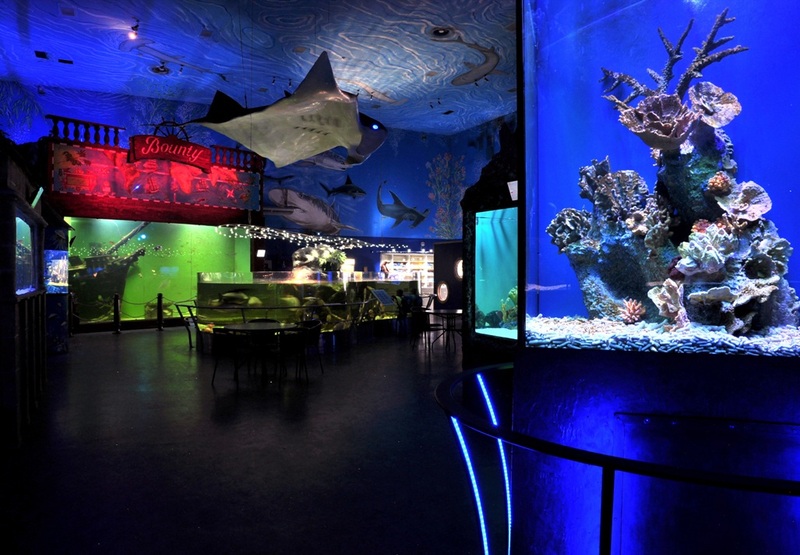 Sea World Zoo offers a series of regular events for visitors - feeding demonstrations, night tours, opportunity to experience what it is like to be a nurse for sea animals, or for example, you can arrange a wedding with us. Video author: Petra Červenková, thank you. 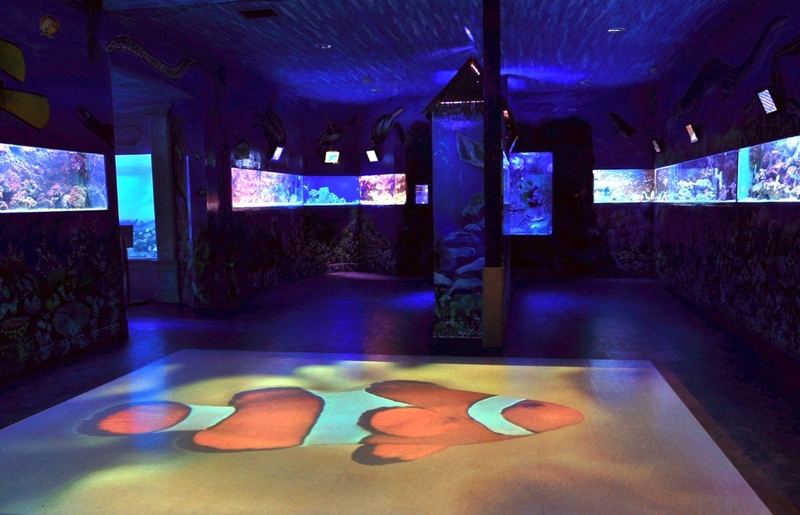 Sea World is a source of knowledge that is open to everyone and therefore suitable for adults, pre-school children as well as pupils. At Sea World Zoo you can book by appointment for a guidance service. This service is particularly suitable for school groups. 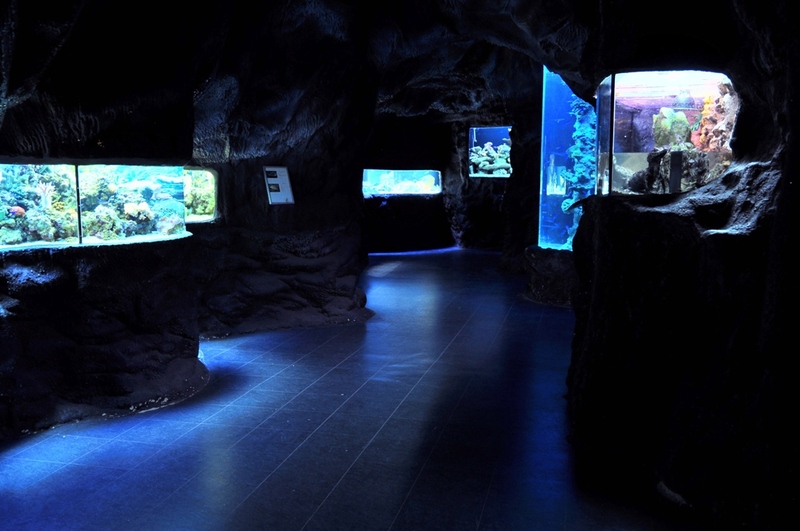 The presentation is adapted to the age of the particular visitors, it can also focus on selected animals or selected issues relating to the seas and oceans. The guidance service can be ordered on weekdays between 8:30 to 15:00. Sea World offers the opportunity to purchase discounted tickets for your company employees. Discounted admission is valid for orders of 20 tickets or more. Tickets are valid according to the agreement. The tickets don’t have to be used only for public visits, but can also be used by visiting individuals at different times. 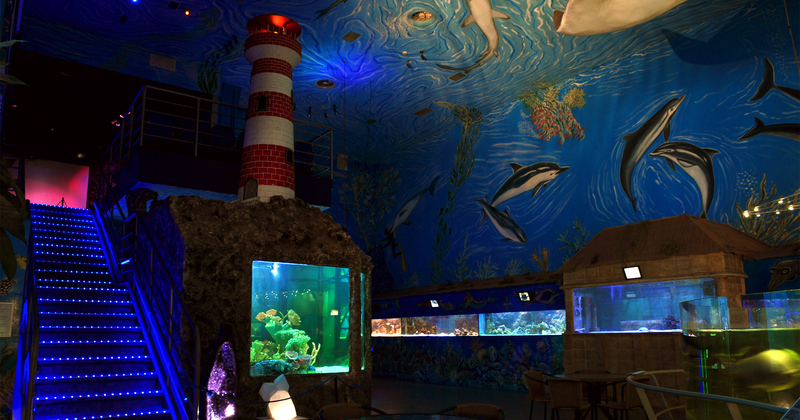 Based on the agreement it is possible to pay either by bank transfer on the basis of our invoice, or the tickets can also be sent COD or alternatively, they can be picked up at Sea World in person. Are you looking for a place to hold receptions, press conferences, presentation of your products or services in an interesting environment? The premises of Sea World will certainly satisfy you on that score. On request we can arrange tours combined with expert commentary, feeding sharks and feeding Moray Eels out of the diver’s hands. For example, our premises have been used by the Viessmann or Kodak Companies. 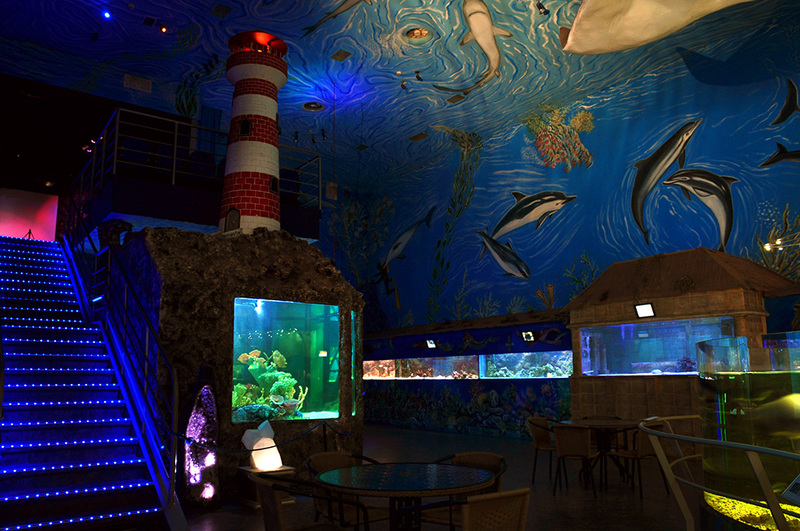 The night tour is associated with expert commentary enriched with the attractions of nightlife of the animals. Part of the event concerning feeding the sharks is expert commentary on the topic. The event is open to everyone who buys a ticket for that day. For more information about the events contact info@morsky-svet.cz or you can telephone on 736 649 558. Changing the event is reserved. Sea World exposure is a paradise for enthusiastic photographers. In the area of exposure you’re allowed to take photographs as well as record with your camera, so this can make a series of beautiful photos, which will not only decorate your photo album, but also these websites. Sea World is the perfect place to spend a family trip. For the little ones we have prepared an art competition. Send us your pictures, cut-outs, illustrations or other artwork made after the visit by children that have visited SeaWorld. In collaboration with Krystals Europe s.r.o. we have prepared a monthly competition with a prize of a valuable gemstone. Every month you can win a valuable selected gemstone. All you have to do visit Sea World, estimate the weight of the exposed winning stone and handover your answer at the checkout. The operation of Sea World operation is associated with high costs due to the complexity of breeding. Although we do try to keep our admission prices down to the lowest possible amount, which can be confirmed by visitors of Sea World located abroad. For disabled ID we offer a discount of 20% of the basic price list. Gift tickets can be purchased at the box office and are valid for six months, or by agreement. After an agreement it is possible to send the tickets for cash on delivery, the price of tickets in this case is increased by the amount for postage and packing. At the Sea World checkout it isn’t possible to pay by credit card. At the gateway to the campus there is ATM. We accept these vouchers: Accor Services: Ticket Sport & Kultura, Multi, Compliments Dárkový Sodexo Pass: Dárkový pass, Bonus Pass, Relax pass, Flexi pass, Fokus pass. Season tickets are not transferable, valid for one year from the date of issue and allow an unlimited number of visits to Sea World. To issue that, it is necessary to have a card-type photograph for adults only). Season tickets can be ordered at www.msobchod.cz or by email info@morsky-svet.cz, where you will be given more information.